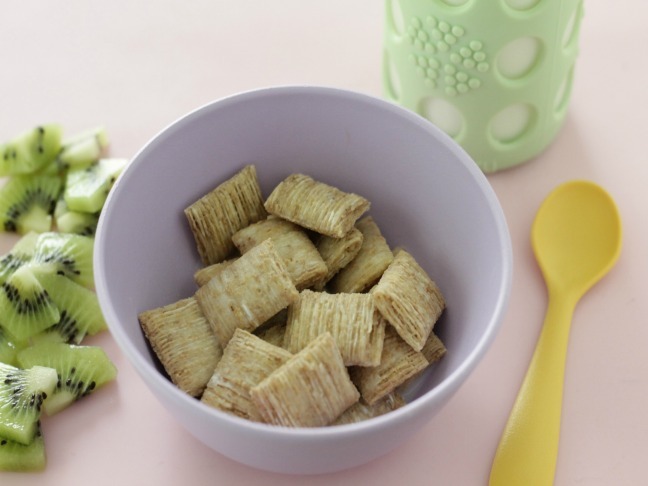 Meals and snack times come often when feeding toddlers, so having nutritious and flavorful dry cereals in the house can make things a little easier. But since the selection available in the cereal aisle seems to keep growing, it can be overwhelming to pick the healthiest options from the endless rows of boxes. I’ve done the work for you and narrowed the field down to the best options for toddlers. This list is filtered by nutrition, with a particular focus on low added sugar and whole grain ingredients. I also took ease of eating into consideration, so each of these picks is something that my daughter has tried and loved. And if you’re wondering how on earth your cute but messy little eater will ever manage a bowl of cereal and milk without making a total mess, know this: You can just add enough milk to moisten the cereal, which will also make them easier to scoop up in a spoon (or with their fingers). 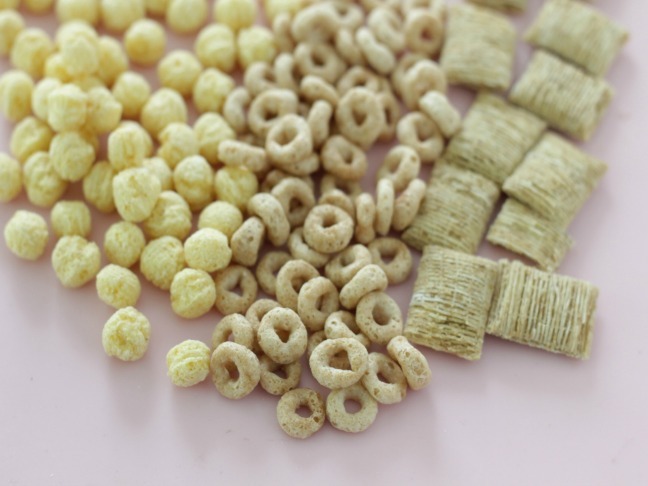 Each of these cereals also makes a perfectly great snack when served dry—and you can just put the milk into a spill-proof sippy cup. If you do your grocery shopping at Trader Joe’s and you have a toddler, definitely add Joe’s O’s to your regular shopping list. They have an almost identical nutrition profile to Cheerios, but they are priced at a very affordable $1.99 per box. If your toddler likes puffs, they might like this puffed whole grain cereal. The cereal is filled with whole grains including wheat, rice, oats, and barley and are free from added sugar. Try them dry as a snack, in a snack mix with dried fruit, or with a little milk for breakfast. Some of these will be easier than others to find at mainstream grocery stores, which seem to give more shelf space to the brightly colored—and very sweet—cereals. Natural food stores generally have more options, though if you look for five grams of sugar or less per serving and whole grains as a first or second ingredient, you should be able to find a few options no matter where you live.